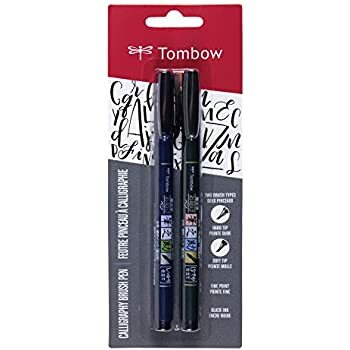 Sold by: American Tombow Inc.
Amazon's Choice for "tombow dual brush pens"
Buy this product Renewed and save $1.70. 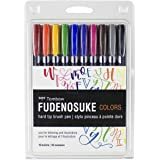 Fine bullet tip is strong and firm, giving a consistent fine line perfect for drawing embellishments, intricate designs, details, and writing! Easily mix and blend ink to create an array of new colors. Blend two ink colors together or use the colorless blender pen to create watercolor effects. Or just add water using a paintbrush to create soft subtle color washes! 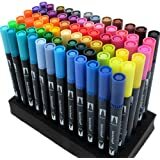 Color-coded caps for ease in organization and quick selection of the 108 colors while keeping tips air tight and fresh! The brush pen cap also features an 'anti-roll' design which is perfect for busy artists and cluttered work spaces! 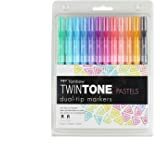 Tombow 61501 TwinTone Marker Set, Pastel, 12-Pack. 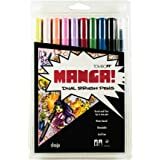 Double-Sided Markers Perfect for Planners, Journals, Doodling, and More! They blend pretty well and get darker with more layers. You can blend them out with some water too, if needed! 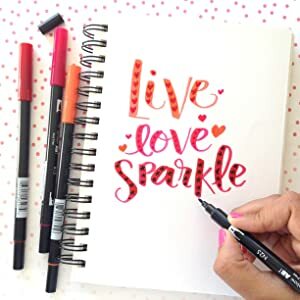 (so it's not waterproof) And you can scribble some colors on plastic and pick them up with another marker for a more seamless blend! 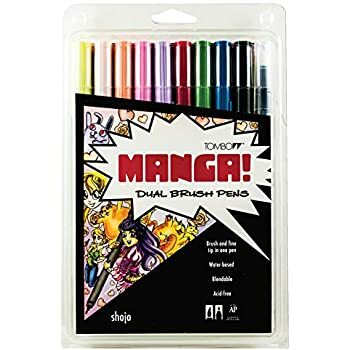 I have used markers extensively over the years and have come to own both this set of Tombow markers and a comparable set of Copic markers. 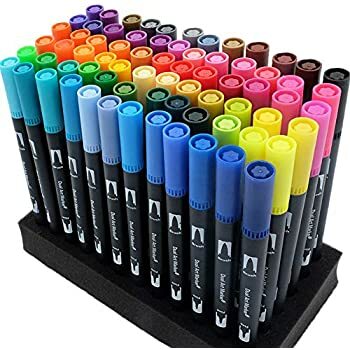 Anyone who's lurked the internet world of markers for very long will learn that Copics are generally considered the best pens money can buy (they certainly are the most expensive) and that few other pens can stack up. 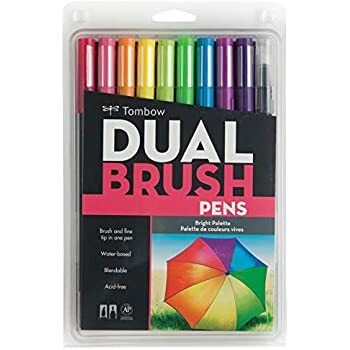 In fact, many other marker brands are judged based on how they compare to Copics, which is exactly what I'll do for this review :) I know many people (myself included for a long time) are looking for alternatives to the really expensive pens, so hopefully this will aid in that search. +Ink scent is barely detectable, and only then if you're practically sticking it up your nose. +Does not bleed through the paper unless you really lay it on thick. -Because the ink is water-based, it will cause the surface of many papers to pill and tear. 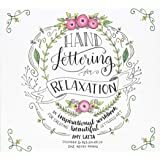 Using heavy papers or papers with low absorbency (like vellum) can help. One must not apply too much ink at a time or the paper will start to buckle. -For me, these markers are way more streaky than the Copics, no matter what I tried. Different papers can help with this, but in general you will have to work pretty hard to color large areas evenly. 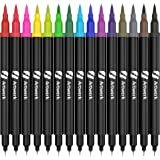 -I find the palate of 96 colors somewhat limiting, especially since a large portion of the markers are so bright and saturated. I prefer working with more neutral tones, so for me this is a con. 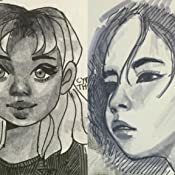 +Probably the biggest difference between these two markers is how much more easily these blend for me. The paper stays wetter longer and two colors sort of soak into one another. +These will never change the surface of most papers. It might buckle somewhat if you're using something very flimsy and really soak it with ink, but I've never had a major problem with this. -These bleed through the paper like crazy. I always have two sheets of paper beneath my projects so I don't stain my table. I don't consider this a major inconvenience though. -The colors look slightly darker when wet than when dry. -The fumes from these things are unpleasant; I'll expand on this later. 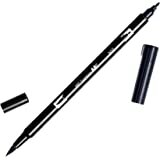 -With moderate use, each pen will last about 1.5 years on a refill. With heavy use (daily), they will last a few months. 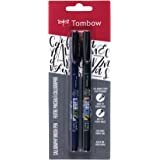 Since refills are available I'm not too concerned with this, but they do seem to run out faster than the Tombows. *I thought I should mention that I actually have an issue with the fumes from Copic markers. 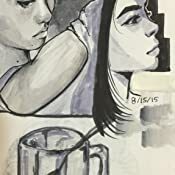 From discussions with my peers, I've learned that is is NOT a typical experience, but if you're sensitive to smells than I would highly recommend Tombows over any alcohol based marker. I was fine for the first couple of months, but over time the fumes began to bother me more and more. After one-two hours straight of using the Copics, I begin to feel mildly ill (slight nausea and faintness). After several hours, I feel fairly sick. 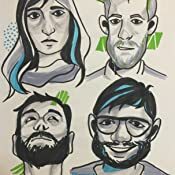 Granted, I work with my face mere inches from my paper (I'm really short sighted) and a scarf over my mouth and nose almost completely fixes the problem, but it's something to be aware of. 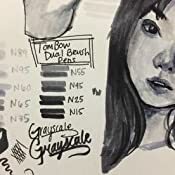 5.0 out of 5 starsNew Fan of Tombow! 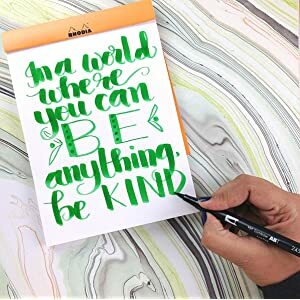 These pens are really amazing and i enjoy using the for brush calligraphy. I purchased the full set of 96 colors and the colors are absolutely stunning. But the only problem that I have is the fraying with the markers on the brush end.. I only received these markers YESTERDAY but at least 10 of them seem to be frayed. 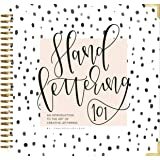 As a person who does brushlettering having a frayed brush tip is SOO FRUSTURATING because the downstrokes and the upstrokes look identical. The upstrokes also get really streaky and separated making it so uncomfortable to use. i’ve only used the black color (N15) TWO TIMES!! but the tip is already severely frayed. as if someone used the color before me.. Now it’s barely even usable for brush lettering. 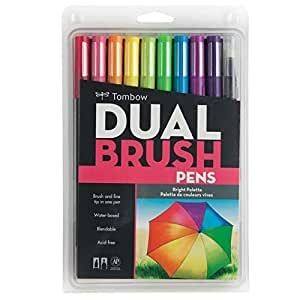 There is also another color that is like a hot pink and that color is also very uncomfortable to use because the tip is SO stiff. 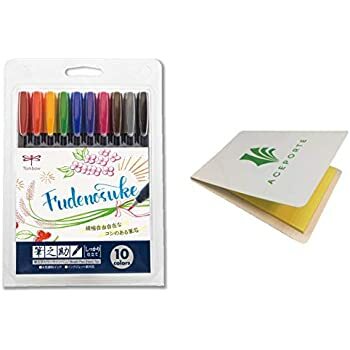 It also makes a weird squeaky sound when i letter with it.. anyways I was SOO excited to receive these pens yesterday but i’m very disappointed in the fact that i’m not able to use some of the colors anymore.